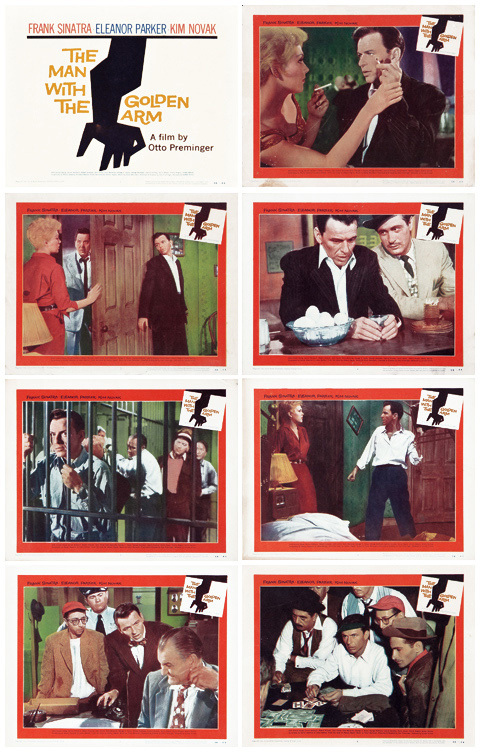 Posters, lobby cards, album covers and the title sequence. 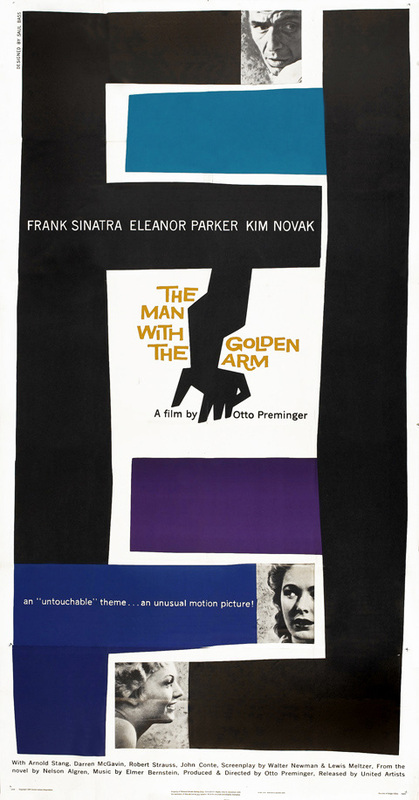 Saul Bass died more than 15 years ago. At the time he started working on a book about his own life and career. Eleven years ago Bass’ daughter Jenny took over. Due to copyright issues the book never saw the light of day. Thanks to the assistence of Martin Scorsese that changed last weekend, when Saul Bass: A Life in Film & Design hit the shelves. I haven’t seen the book yet, but since it’s written by Pat Kirkham it has to be good. 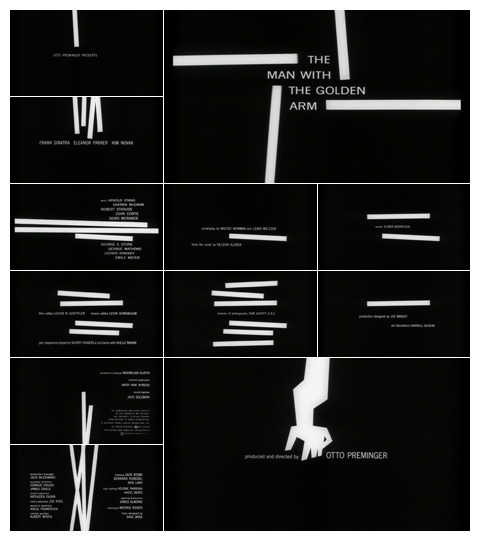 A good example of her writing style and research capabilities is this fantastic 9-pages-long article: Reassessing the Saul Bass and Alfred Hitchcock Collaboration. A must-read if you’re interested in cinema and/or design history. 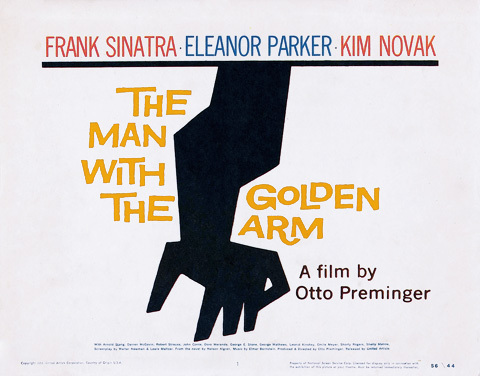 The cover of the book sports a detail of the design Bass did for the Otto Preminger movie ‘The man with the golden arm (1955). When Bass worked for film studios he offered them a package: main and credit titles, a symbol or trademark, a screen trailer, posters (half sheets, one sheet, three sheet, six sheet, twenty-four sheet), an insert, lobby cards, a window card, trade ads and magazine ads. Bass created identities for movies. A brand. One single designer who was responsible for the look and feel of the entire marketing campaign of a film. Today it’s different. Various companies are hired for the design of posters, trailer and commercials. The industry has become so fragmented that the amount of movies with a recognizable identity is decreasing each year. The images on this page show how the initial design changed according to the shape and sizes of the items it was printed on. The first image is Bass’ initial design, before it was ‘diluted’ by the studio. It was screen printed during the 1980s. Rich or generous people can buy me a copy here. 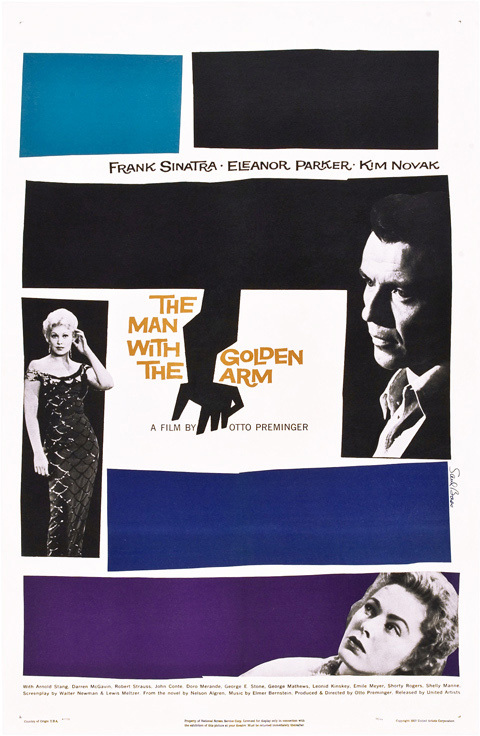 The last poster is the version that was used for the re-release of the movie in 1960. The design also appeared on the press book and soundtrack album covers (three different versions). I don’t own a copy of the press book, which makes it impossible to tell if this collection of movie marketing material is complete. According to Kirkham Bass was credited as art director and artist for most of the advertising campaign but award citations (almost certainly supplied by him) credit him as both art director and artist, plus Phyllis Tanner, Al Kallis, and Maury Nemoy as artists. Nemoy worked with Bass on the lettering. 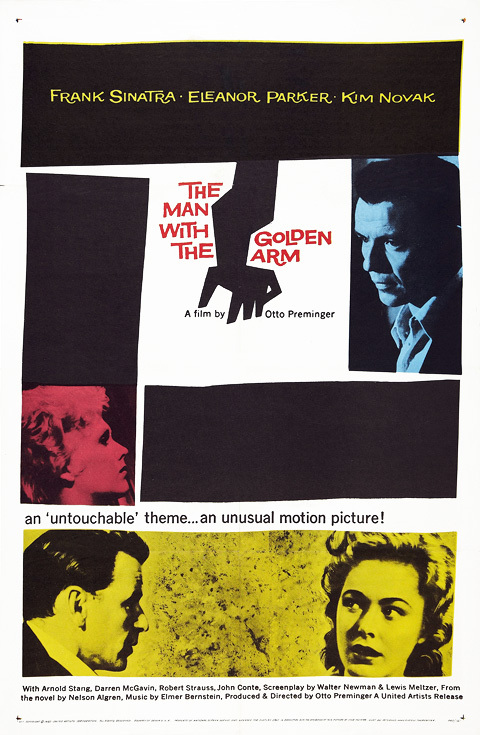 1960 Re-release one sheet poster. This is the text of a note that was stuck on the cans when the reels of film for “The Man With the Golden Arm” arrived at US movie theatres in 1955. 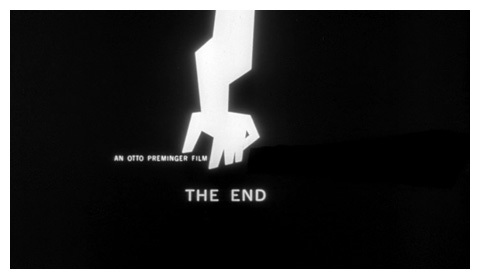 Before the mid-1950s, all credits were shown at the beginning of a film. These sequences were often quite static. Audiences resented them and projectionists only pulled back the curtains to reveal the screen once they’d finished. 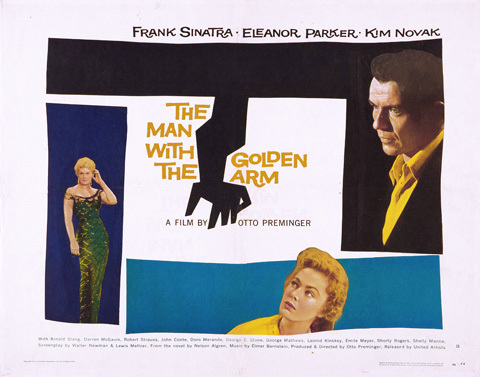 Visit the Movie title stills collection to view stills and the video of the The man with the golden arm (1955) title sequence. The title sequence cost $3,500. It catapulted Bass to international fame and he would continue to design great posters, logos and title sequences. 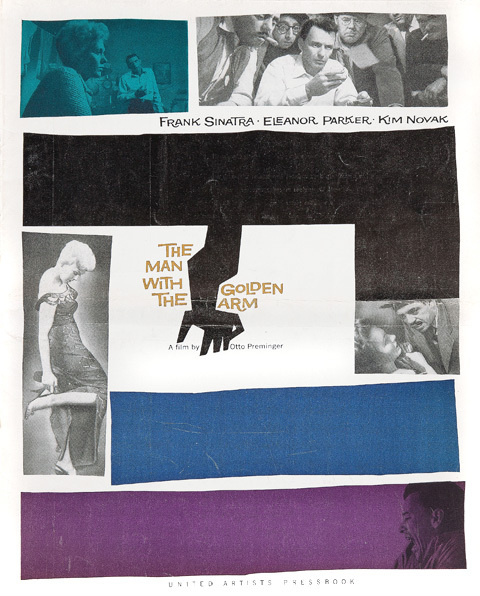 everything about “The Man With The Golden Arm” is genius. 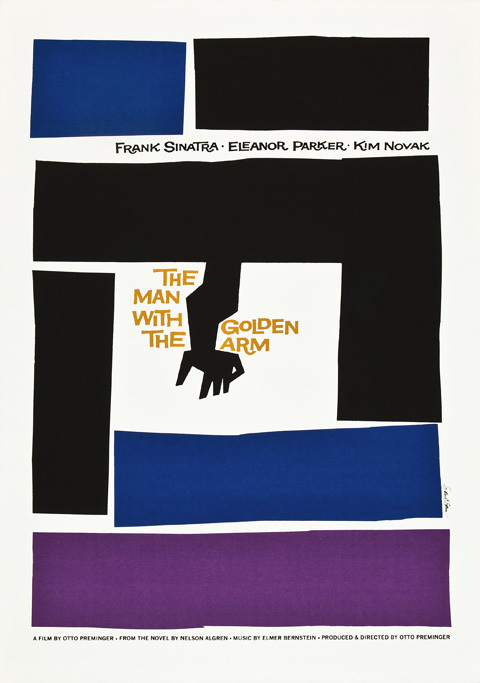 I adore the soundtrack, and of course, Saul Bass. Thanks for this great post!